Fly tying nights at Duranglers. On February 13, we hosted a videoconference presentation with Bryan Huskey and Sascha Clark Danylchuk of Keepemwet®. Bryan and Sascha discussed principles to minimize the impact on the fish we catch, even while taking pictures. More information is available on their website, but here are a few of the basic principles they reviewed regarding handling. Minimize air exposure. Keep a fish’s mouth and gills fully submerged in the water as much as possible during handling. Eliminate contact on dry surfaces. Contact with dry surfaces, whether they are hands, rocks, grass, boat bottoms, etc. can remove a fish’s protective slime and make them more susceptible to diseases. Reduce handling. Generally the less a fish is handled, the better. Measures like fishing barbless hooks and having tools easily accessible help reduce handling and allow you to release the fish more quickly. A big thanks to Matt McCannel, head guide at RIGS Fly Shop in Ridgeway, CO for venturing over for our January meeting and discussing techniques to help improve your landing rate. 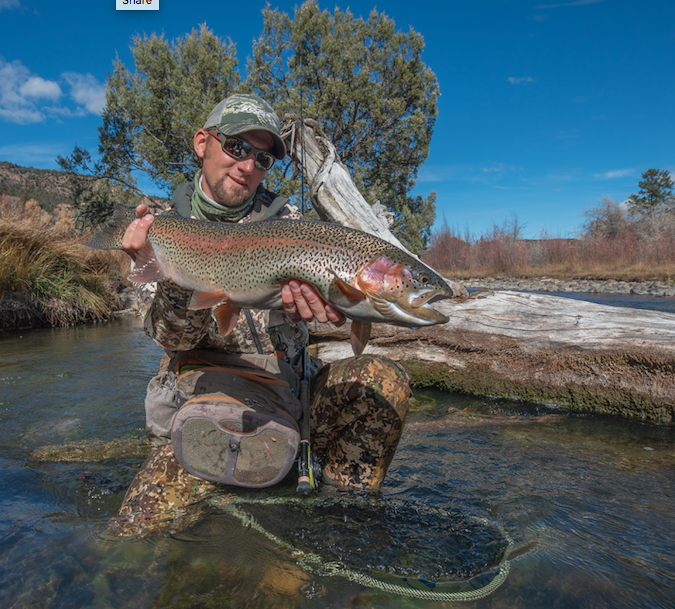 While Matt is generally targeting large fish on light leader/tippet with small flies, these are great tips for any situation. For those who attended - and those who couldn't make - here are 5 recommendations that Matt presented. The Hermosa Creek work for 2018 was partially completed. In November, volunteers helped scatter grass seed in the area of the new barrier prior to the road shutdown for the winter. We intend to go back in as early as possible in the spring to plant willows. Stay tuned as more information becomes available. The Chapter will be looking for volunteers to help with this work in the summer and fall of 2019. There is no other issue of greater importance to the health of the Animas fishery - top to bottom - than mining-impacted water quality. As such, TU has long-been at the table with local stakeholders to address the problem and find solutions. It should then come as no surprise that TU was instrumental in developing the Bonita Peak CAG. Sign up to stay informed by going to www.BonitaPeakCAG.org.